Having a degree in educational leadership and currently a practicing medical physicist, provides a good mix of instructive experience and familiarity with scientific topics. My ministry, tentatively called Equip Your Mind, would love to enable anyone with goals of engaging others for the Lord. We have participated in a variety of engagements and settings, with the goal of providing practical and concrete tools for apologetic work. Sean Garnham works the assembly line at Ford. 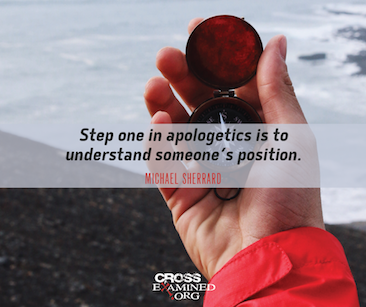 He believes that all Christians, no matter what career or educational background they have, should have a basic knowledge of Christian Apologetics in order to strengthen their faith and the faith of their families, and to help them give an answer (apologia) to anyone who asks them to give a reason for the hope that they have (1 Peter 3:15). Sean maintains a Christian Apologetics website (DefendingChrist.com) and gives apologetics presentations to churches and youth groups in the Detroit area.